This is my apartment, or rather, this is the remains of an apartment being readied for a move. I flew home from teaching in Tampa today. The truck arrives on Wednesday. I leave for a monthlong stint at Wichita State University next week. I have a knack for stacking major life events, one on top of the other. 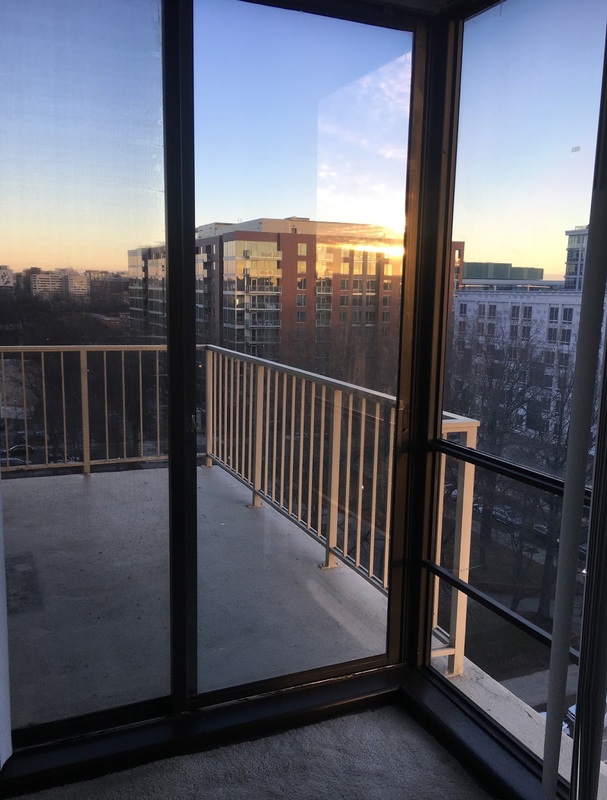 We're not leaving DC, or Southwest; we're moving just a few blocks away. Why? Because the new apartment has a second bedroom, which makes for a writing office. Making this leap has been a struggle, since a two-artist household doesn't satisfy the conventions of many housing opportunities in a bigger city. But sometimes you have to take the leap, even when it is over a great big canyon. I have loved this apartment, but I'm ready to prioritize what I can so with with a room of my own. There is no gate, no lock, no bolt that you can set upon the freedom of my mind. So, you see that little teak desk in the photo above? That blue chair? They are going to go here, in the photo below. 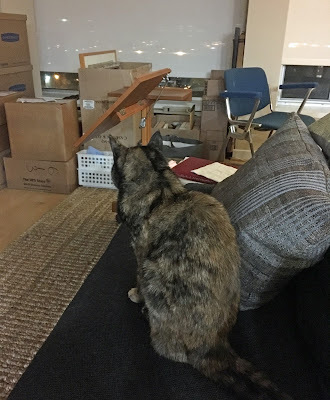 The best part is that I think I can eke out enough room in this office for a futon that would allow me to offer visiting poets a place to crash, as long as you don't mind waking up surrounded by books. 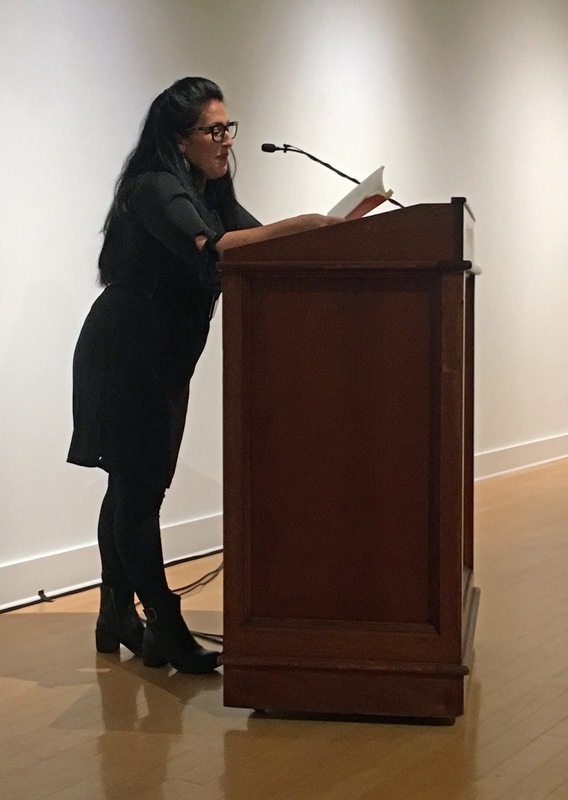 Presenting the introduction at the start of a reading is one of my favorite ways we get to celebrate fellow writers--especially when the audience is the University of Tampa MFA program, gathered for their annual January or June residency, and I'm able to share a poet whose work means a lot to me. Yesterday, Ada Limón joined us for a triumphant lecture and reading. Since Ada is someone who I got to know in part through this space--the blog scene, and the poets associated with it in the mid-2000s--it feels appropriate to share what I said. Plus, the art of the introduction is something that interest me; how do we weave in personal anecdote while making sure to provide the important tenets of biography? How do you prime the audience for what to hear (or not)? In my MFA program, Richard McCann was (is) legendary for the quality of his introductions. The first thing the author usually said was, "Let's just stop there." Those of you who have studied poetry with me know that I am a fierce defender of the distance between poet and speaker. So it’s mildly heretical that I’m about to talk about the author off the page, rather than on it. Indulge me. 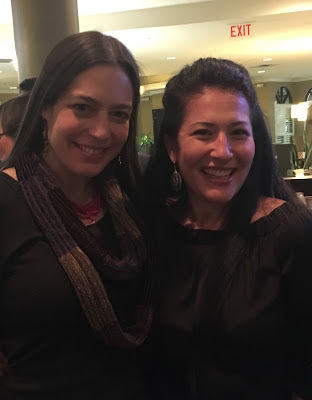 Ada Limón and I were part of a cohort of poets who came up at about the same time in publishing our first books. Now, I say that word "cohort" with two asterisks. One of my first trips to New York City, in November 2007, was to read alongside Ada at Chelsea’s ACA Gallery for Big Game Books, a micro press Three years later, I crowded into NYU’s Lillian Vernon House to hear her read with Jason Schneiderman and Jen Knox. I’m pretty sure I told each poet that I was friends with one of the other poets, to hide that I was just a big huge fan and I didn’t really know a soul in the room. Question: Where do you see yourself in 10 years? In ten years I'll be living in my hometown of Sonoma, in a small house with a big garden….I'll probably be married or living with an aging rock star or some organic farmer who is single handedly trying to bring back the bee. I'll write more poetry, some fiction, an album, and a screenplay. I'll go to Salmon Creek and build bonfires. I'll be remembering everything in case anyone forgets. I started off by giving myself permission to get away from the page, but now I return to it. 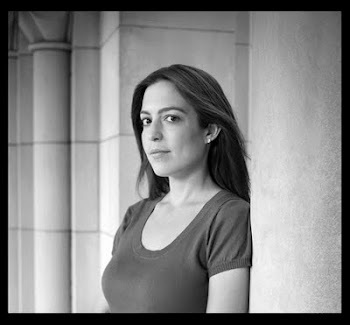 What I appreciate about Ada Limón’s work is not pyrotechnics of form, but the ember of a closely held truth. Although I know that one of her formative mentors is Philip Levine, I actually think of another Philip, Philip Schultz, and his great big heart. Like sharks, to survive we move forward to live. To move forward, we name goal-dreams and dream-goals. What was gained? What was lost? How is that loss manifested in the natural world? How do we make good of mourning? How do we reconcile our past and future selves? We embrace being present. Yet we dream again. We dream big. Without further ado, and with much pleasure, I present Ada Limón. I played only a minor role, of course. What followed--six poems from the most recent book, six poems from the forthcoming one, a few jokes, and great prefacing comments that invited the audience to engage with the work--that's where the magic happened. But I'm so glad I could help set the stage for Ada. One of my former students, who first encountered "How to Triumph Like a Girl" in our residency workshop a year ago, was in tears of happiness. Once can get complacent about the value of readings, fifteen years into a career. Then I'm reminded that they can be revelational, revolutionary spaces. They can touch people. The bookstore staff sold out of copies of her book within minutes. Safe travels, lady! See you next time. One of my favorite things about this life, stressful as it may be, is that there is always a next time. 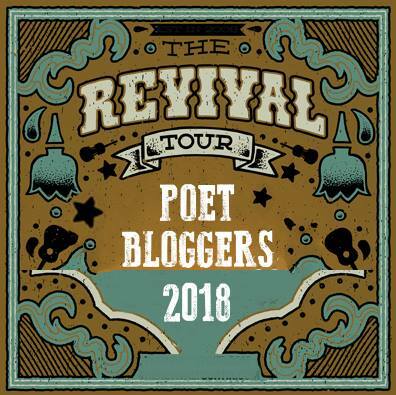 2018 Poet Bloggers ~ The Revival Tour! A bunch of folks, including some of whom I've tracked closely in the last fifteen years of our writing lives, decided to reinvigorate their blogs for the new year. I'm really excited about this, because--even in a world rife with social media and sharing, with Facebook and Twitter and Instagram and Tumblr--this space seems to bring out a different kind of thought-process, particularly among poets. I'm in. Chicks still dig poetry. 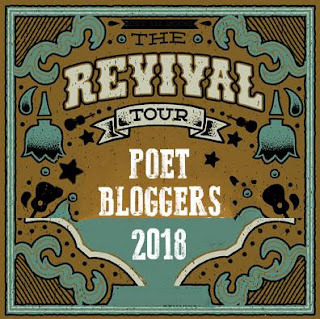 Below is the list of bloggers who are part of the Revival Tour. If you're a poet with a blog, please join us by leaving a comment over at the blog of Donna Vorreyer. *This list is current as of January 3, 2018; I'll be updating my blogroll, as well.